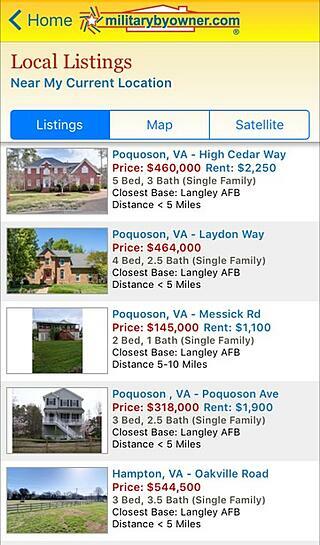 Find Your Next Home with MilitaryByOwner's Updated App! 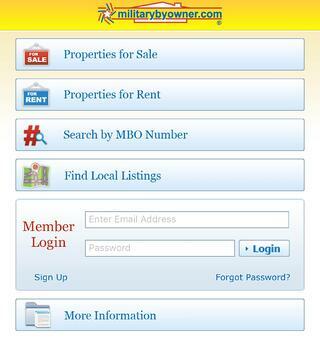 MilitaryByOwner Advertising's iPhone app is more user friendly than ever! You may already know that MilitaryByOwner released an iPhone app last year to make your house hunting experience even more convenient and possible from anywhere. The app is designed to help users search for homes near their new duty station. Recently, we completed an update to make the app even better. The new update not only allows you to continue your house hunting search from your iPhone, but it also makes doing so incredibly easy. 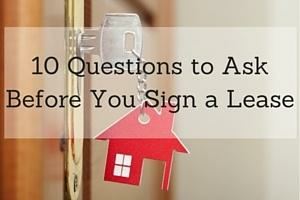 1) You have the convenience of searching for your next home at your fingertips. First, search for "MilitaryByOwner" in the App Store on your iPhone and download the free app. Users can then search properties for sale and rent using specific criteria. You can also search for a listing using the MBO listing number if it is already provided to you, and you can also search for homes by using the new map provided. 2) The new map feature allows you to enter your location on the map and view every listing within the area based on proximity. This feature is great for visually minded people and saves from having to search within the site as well as Google Maps to determine location, as I have frequently done in the past. 3) "Find local listings" is another great feature. 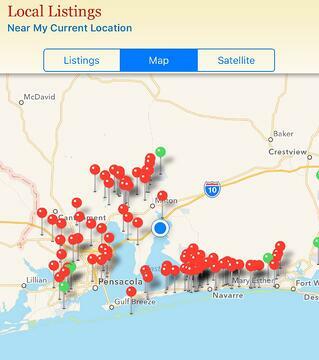 Using the location device on your phone, the app will give you a list of all the properties listed in the area. The ability to view all the local listings in your area by one push of a button is a huge convenience when you're on a house hunting trip. This feature is one that I will most certainly be using for our next PCS! 4) All 40 photos of the Home Tour Plus ads can be viewed on the app. While you can still save a property as a favorite and look into it further when you get home, you can now take advantage of viewing every available photo of the home within the app. If you're listing your home for rent or sale, the MilitaryByOwner mobile site is still the best option for you if you're away from the computer. 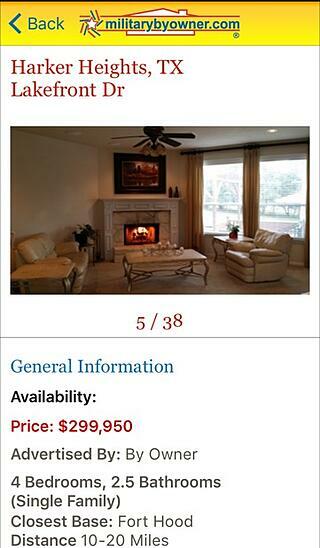 We hope you enjoy all the updated features of MilitaryByOwner's app as you house hunt this PCS season!